and that LOVE being out in the water! or those currently enrolled in a 200 hr program. 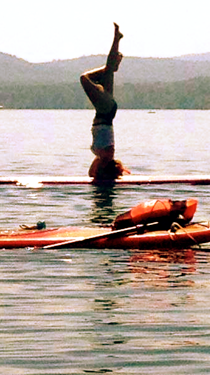 Instructor, Michelle Clarke became a World Paddle Association Certified Instructor in April of 2012. She is a Paddlefit Core Coach, Paddlefit Certified Level 2, through Brody Wehlte’s Standup Fitness and trained by YOLO board team rider, Michael Westenberger. 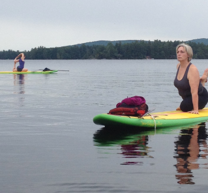 She is an E-RYT, the owner and head instructor at Full Moon Paddleboard. She owns Moondala Yoga Studio in downtown Wolfeboro, where she teaches various types of yoga to adults and children. She is mom to Reese, 13, Brady 11, and Lainey 7. 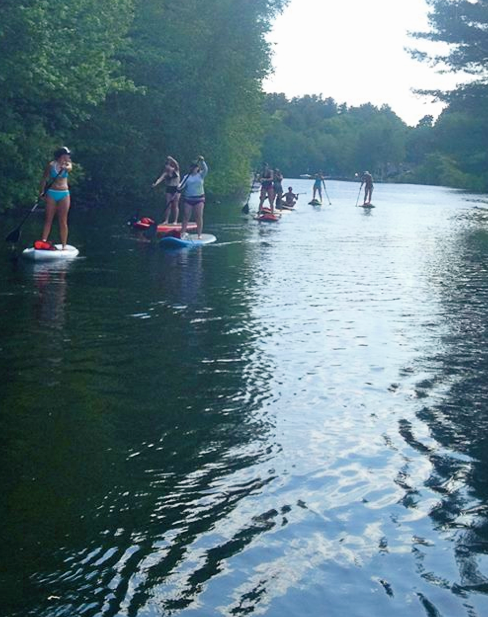 •Water safety, current rules and regulations for SUP on lakes and ocean. •How to translate your personal style of yoga and yoga instruction to the board. 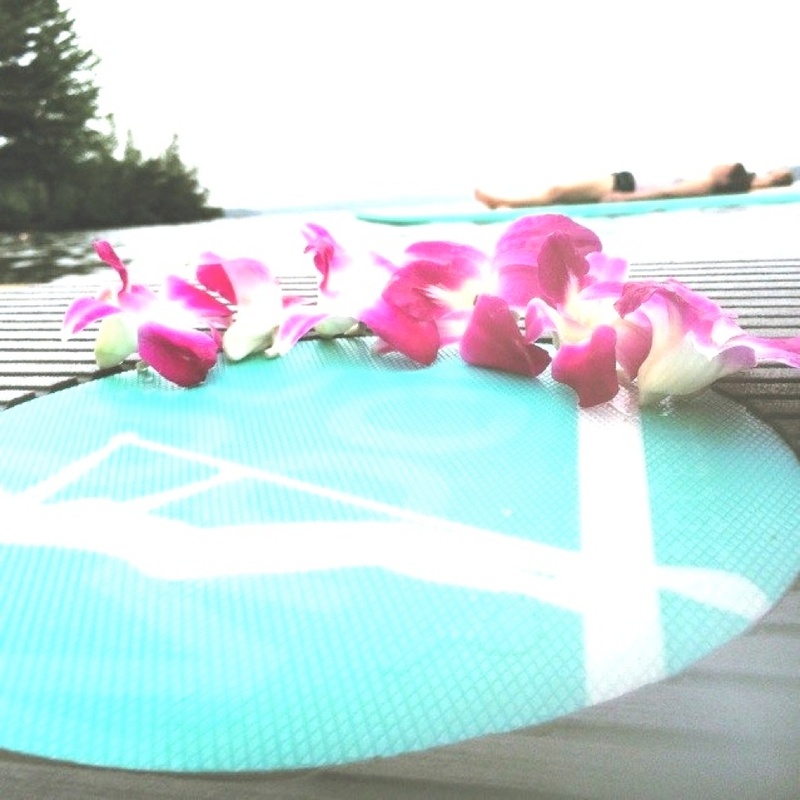 •After the weekend, you will be able to comfortably build an on-water yoga community activity, have a network of SUP Yoga peers to share information. •FUN, open-hearted sharing of energy, connecting to your inner child playing on the water. 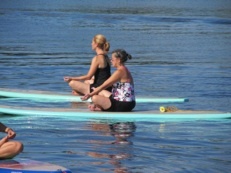 Yoga is a sacred practice, being on top of the water is spiritual, this practice is joyful. First Aid and CPR Certification is NOT included in this training, but HIGHLY RECOMMENDED before conducting any on-water activities.